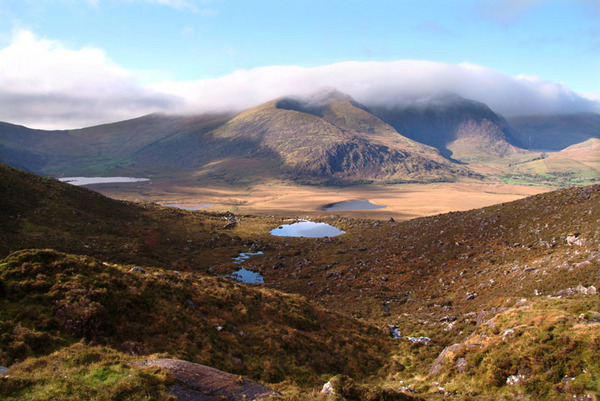 Mount Brandon, with Corrie Lakes, as seen the from Conor Pass, near Dingle. A stunning drive, not for inexperienced drivers in the summer season, and definitely not for tour buses which WILL get stuck there, in spite of warnings at the bottom. Unframed. Smaller size available. Framing available if collected from Helene. Please enquire.